Everyone needs adequate thoracic mobility, but it is challenging to fully know how much movement each person needs. Let’s back up a little: Our world is an integrated system that develops and adapts in a three-dimensional, dynamic triplanar motion. I use the term “world” in the context of the body and its ability to apply various degrees of patterning and motion to thrive and survive in. Within this world, there is an integration of systems and mechanical patterning that excite and inhibit our directional pull. Various patterns thrive through the ability of the body to rotate the thoracic spine. I’ll restate: Everyone needs adequate thoracic mobility, but it is challenging to fully know how much movement each person needs. 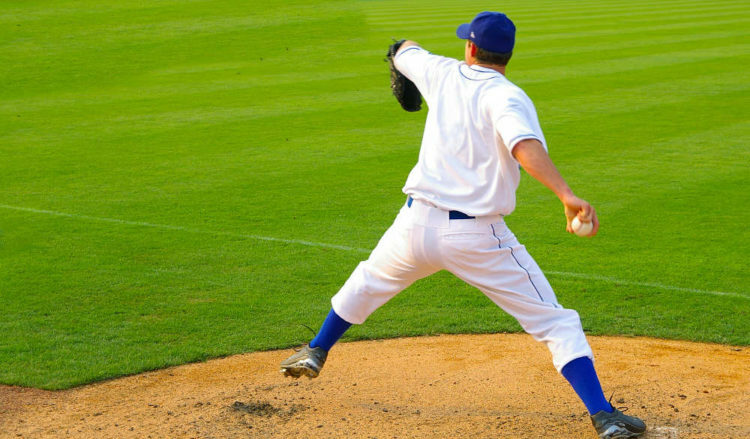 From personal experiences working with professional baseball players and patients with Cystic Fibrosis, an incurable genetic disorder that causes severe damage to the lungs, digestive system and other organs in the body, I have gained valuable insight on the importance of the thoracic cavity. Both of these groups of athletes are fighting for something that places high demands on their thoracic cavities and internal systems. It all depends, because without an appropriate in-depth evaluation, a proper diagnosis cannot be reached. Dr. McGill’s response has resonated with me over the last three years. In-depth evaluations are already being performed in the facility, but movement is not only based on how the body moves, it is also based on how each client’s/athlete’s goals are uniquely designed based on the environment in which he/she wants to move. Bodies need to be able to move, but giving an athlete too much mobility or not enough mobility, can hurt one’s career. Dr. McGill’s response, “it all depends,” brought me back into the trenches to analyze the data we collected on thoracic movement and exercise integration. Findings consisted of similarities in posture, gait and respiratory integration through triplanar dynamic posture. This shows that there are commonalities in everyone, yet pronounced differently based on genetics and environment. Movement revolves around the body’s ability to synchronize systems in and out of parasympathetic (rest and digest) and sympathetic (fight or flight) environments and movements. The body calculates, analyzes, adapts and survives off triplanar posture and triplanar dynamic posture. Optimal performance can only be reached if one understands how to synchronize the body through asymmetrical development and patterning. Over time, based on one’s genetic makeup and his/her environment, the body’s system will develop and adapt. Using internal and external feedback loops, the body develops a plan to survive, which, over time, increases familiarity in patterns through neuromuscular repeatability. Postural Restoration Institute (PRI) has shown that the internal system is not symmetrical, which causes the body to shift to one side more than the other. The right hemi-diaphragm is larger than the left and originates at L3, whereas the left originates at L2. Our lungs have 3 lobes on the right and 2 on the left. The left hemisphere controls language, reasoning and logic aka movement. The right hemisphere controls imagination, creativity and insight aka partner to movement. Science shows us that we are internally right dominant, but what does this mean for our athletes and clients? Every day, 95-97% of our thoughts and movements are made subconsciously. Throughout the course of one’s life, the body will develop patterns based on one’s intrinsic genetic make-up and extrinsic environmental influences. For baseball players, this means rotating to one side hundreds of thousands of times over a lifetime. 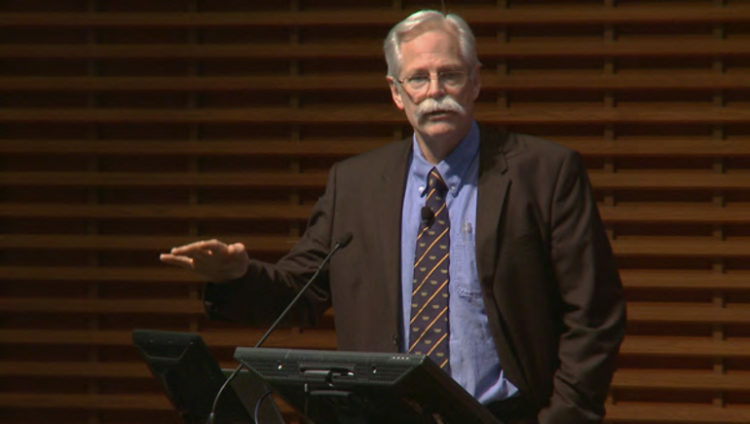 For patients with Cystic Fibrosis, this means developing protocols to fight an incurable disease. The specific tasks correlate through the ability to internally and externally rotate the ribcage. When the thorax’s impression on posture and movement are discussed, the words “bilateral extension” and “bilateral flexion” are commonly used. It is important that bodies do not stay in a state of flexion for too long and/or too often. Likewise, we should not stay in a state of extension for too long and/or too often. It is necessary to analyze a client’s postural flexion and extension based on how the thoracic spine is positioned and how it moves through planes of motion. However, throughout the evaluation, it is often forgotten that flexion and extension are not the only factors that should be your focus as rib kinematics also play a vital component as well. The thorax’s planes of motion are very similar to those of the hips, lumbar spine and sacrum. The ribs take on the role of the hips, whereas the thoracic spine takes on the role as the lumbar spine and sacrum. Your thoracic spine and ribs do not share the same degrees of motion in relation to the lumbo-pelvic region, however when analyzing the segments in relationship to the adjacent join, it is apparent that the two do share similar traits. When conducting a postural analysis, if the client has an anteriorly tipped and externally rotated pelvis on the left, there is a higher likely hood that the right hip will be posterior tipped and internally rotated. This goes back to the concept that our bodies internally shift to one side. In this instance, the client would be shifted over to a right stance. A right stance causes the sacrum to rotate to the right to allow the left hip to anteriorly tip and externally rotate, while also allowing posterior tipping and internal rotation to occur with the right hip. If a structure moves on one side of the joint, the adjacent joint will move in pattern to allow that to happen. Now let’s take this same concept and apply it to the thorax. When one does not fully understand, coach and re-evaluate rib positioning, as well as thoracic positioning, things start to get more complicated when thoracic mobility drills are added into a program. 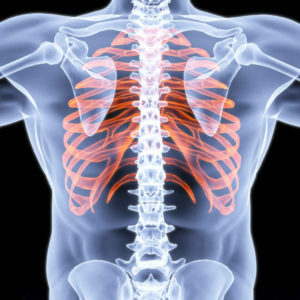 At the thorax, there are 11 pairs of external and intercostal muscles that draw the ribs together and raise the ribs. 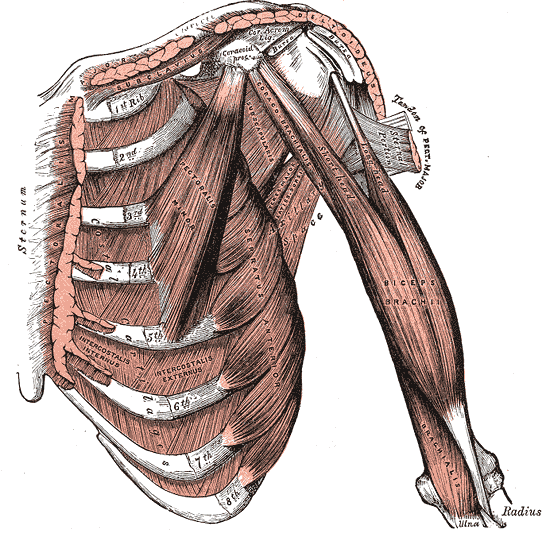 The subcostals muscle lowers the thorax and stabilizes the ribs though the QL attachment. The Triangularis Sternum draws the 2nd-6th ribs down. During inspiration, ribs 1-5 shift the sternum forward with elevation, ribs 6-10 swing outward and upward pushing against the ribs above, and ribs 8-10 glide increasing abdominal pressure. Consider that we average 20,000-24,000 breaths a day and imagine what is happening at the thoracic spine. The thoracic spine loses its sense of balance between planes of motion, because of altered rib mechanics, creating a comfortable compensatory alignment and patterning problem. How does this affect movement? All ribs move through internal rotation (IR) and external rotation (ER) when someone walks, breathes, runs and moves. During right thoracic rotation, there is an external torsion (action of twisting) of the right posterior rib through the costotransverse joint. When external torsion occurs, right internal torsion occurs at the left posterior ribs. The ribs connect to two vertebrae through a thoracic ring (two adjacent thoracic vertebrae). The thoracic ring allows movement of the ribs and thoracic spine to synchronize and allows torso rotation to occur. To further clarify, when you step with your left leg during walking or running, your right anterior ribs internally rotate (right posterior ribs externally rotating), flexing your right side and causing your left anterior ribs to externally rotate (left posterior ribs internally rotating). This movement allows your thoracic spine to rotate to the right, which gives you the ability to get into your hip on the left (Left Hip IR) so that you can absorb deceleration forces and transfer it to acceleration forces when driving off that leg. When the body doesn’t have adequate rib ER/IR, thoracic rotation will be compensated for and quality rotation will not be achieved. The respiratory system brings on further challenges when added into the equation. During inspiration, ribs should externally rotate and then internally rotate during expiration. Through the breath, two systems are working based on the demand it is placing on the body; the sympathetic system (fight or flight) and the parasympathetic system (rest and digest.) When performing a task that has high demands on the body, the system will alert the sympathetic system that more oxygen is needed to complete this task. Increased inspiration means increased rib external rotation. When the body doesn’t require an increased intake of oxygen, the system turns to the parasympathetic system to take control. However, the body is extremely adaptable and when it analyzes overall expenditure (posture, reciprocal function, respiratory intake/outtake, neurological demand, etc.) it calculates patterns and creates adaptive changes to keep the body alive, which creates postural respiration imbalances and causes ribs to stay in a state of IR on one side and ER on the other. In the athletic world, bilateral ER is commonly seen. Reconsider the 20,000-24,000 breaths a day with an athlete who rotates to one side on a daily basis, and rib kinematics will change. Without proper rib positioning before the execution of a thoracic spine exercise, the ribs are not in the right position to allow optimal movement, which changes the game when programming thoracic mobility drills into a program. Evaluating rib position is key in posture. If the left ribs are in a state of ER and the right ribs are in a state of IR, there is a good chance that the thoracic spine is oriented to the left. An emphasis on left rib IR and right rib ER should be integrated into a progressive program and monitored when initial thoracic mobility drills are administered. This will allow for improved orientation of the t-spine at the start of an exercise. Postural Restoration Institute and Diana Lee have brought to our attention that ribs connect to two vertebrae through a thoracic ring. The thoracic ring allows movement of the ribs and thoracic spine to synchronize, as well as allows torso rotation and torsion to occur. Further advances in knowledge have informed us that rib kinematics plays a greater role in thoracic spine positioning and it’s arthrokinmetics. Ribs not only mirror the contralateral side, but have an opposing action at various points through triplanar posture and triplanar dynamic posture. Simply working thoracic mobility through bilateral torso flexion and extension that doesn’t emphasize rib positioning, will not give true thoracic spine movement and integrity. Various patterns thrive through the ability of the body to rotate the thoracic spine. Everyone needs adequate thoracic movement, but “it all depends” based on the environment in which they choose to live.